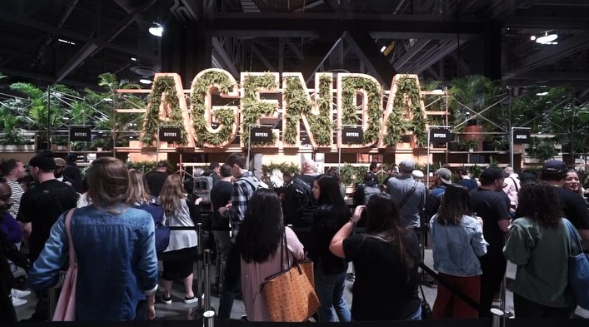 Agenda Long Beach celebrated their 15th year on January 4 – 6th. While I celebrated being able to use my ID to get in for the first time! However, I still got the under 18 wristband. Across from the skating is where I caught up with H-Street. 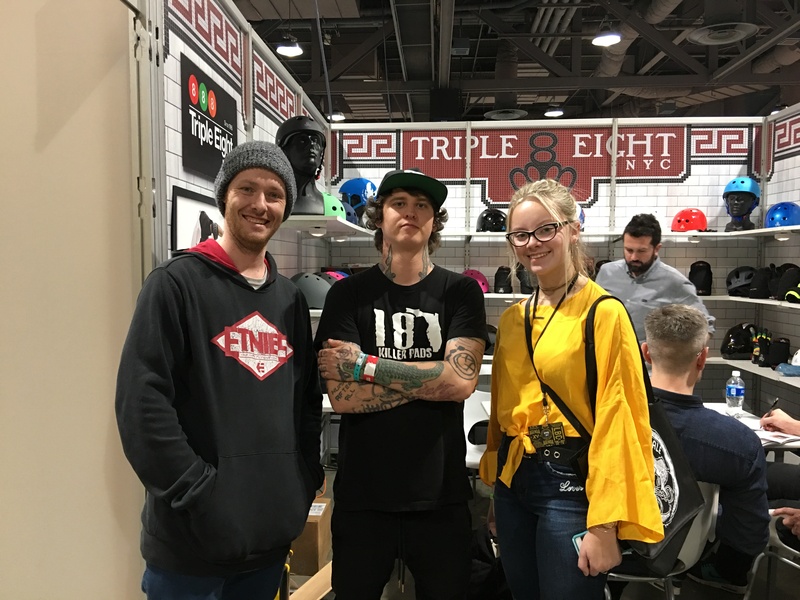 I chatted with Tony Mag (T-Mag) and Monica Mag. H-Street has a long and rich history which you can read here. 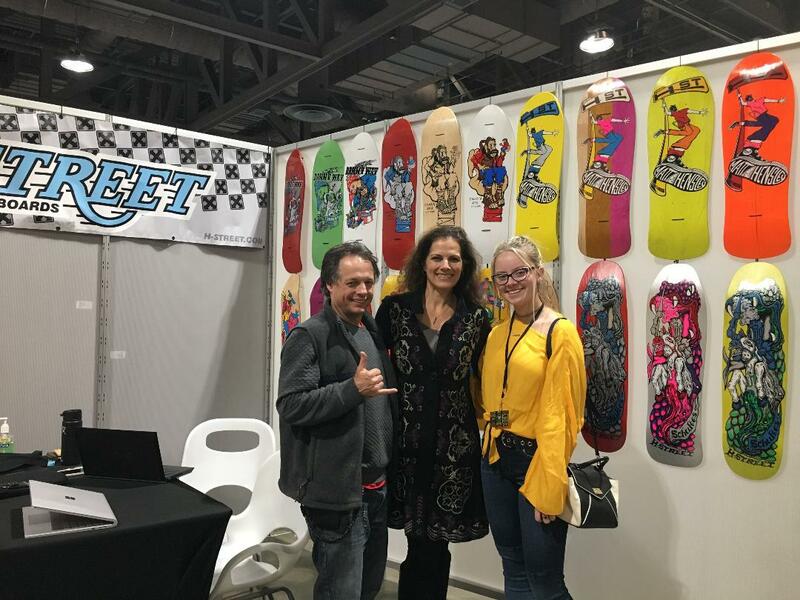 Plus I’m super excited for everything H-Street has planned, so be sure to follow them on IG for the latest and be on the look out for a book by Monica. I also learned that old school boards are starting to make a come back. They’re selling like hot cakes at H-Street. I was also excited to hear that two of my favorite brands are now collaborating. Yup – Triple Eight and 187 Killer Pads are working together to keep you protected. 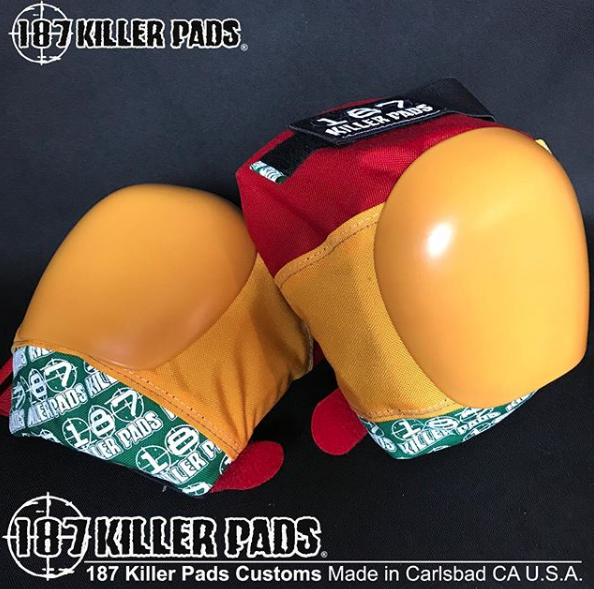 Both of them are able to keep up with my changing likes in colors – I was feeling the yellow & of course they have yellow pads, plus 187 can customize anything you can dream up. 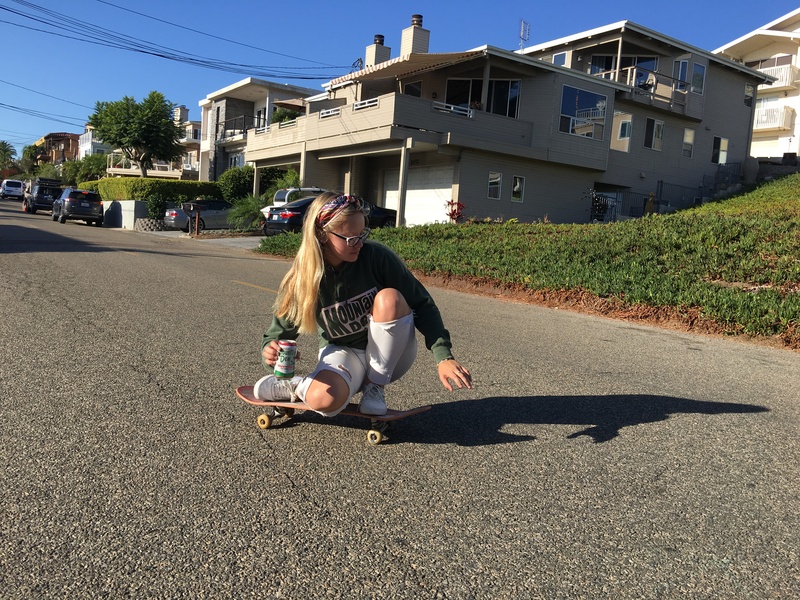 Fairdale is working to keep your skateboard protected. 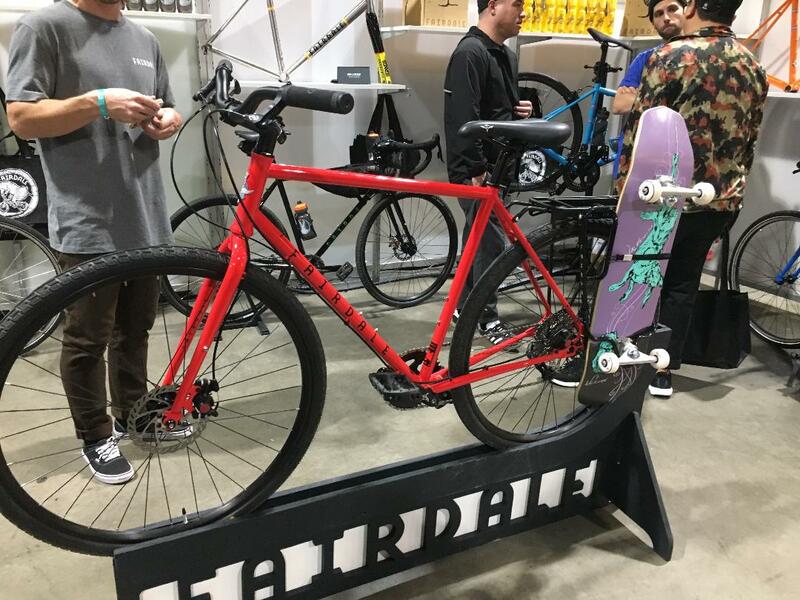 I love how easy Fairdale’s Adjust a Rack makes it to take your skateboard anywhere with you. Sometimes you need to go off pavement to find yourself – so a rack that secures your board is a must have. 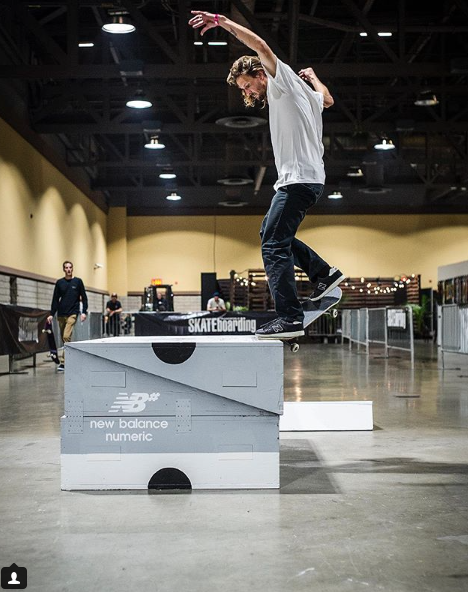 What else might you need while biking and skateboarding? A backpack! Dora knew and Element have always known you need a trusty bag for all your adventures. 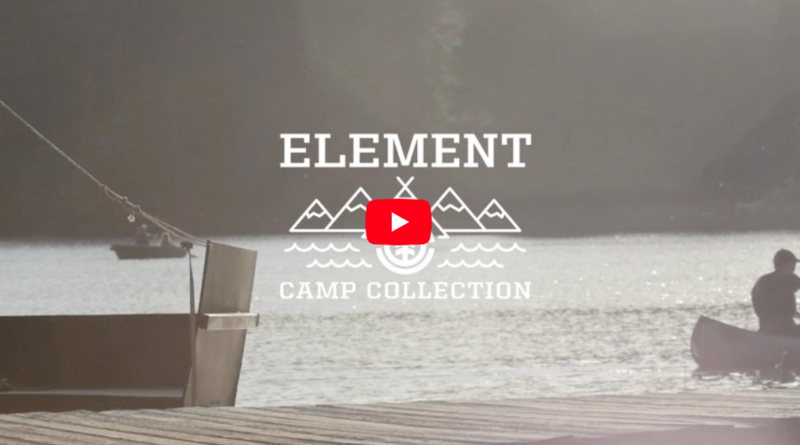 When Element decided to re-design their backpack line, they packed up the van, hit the highway, and headed to their favorite place on earth for some inspiration: Element Skate Camp. 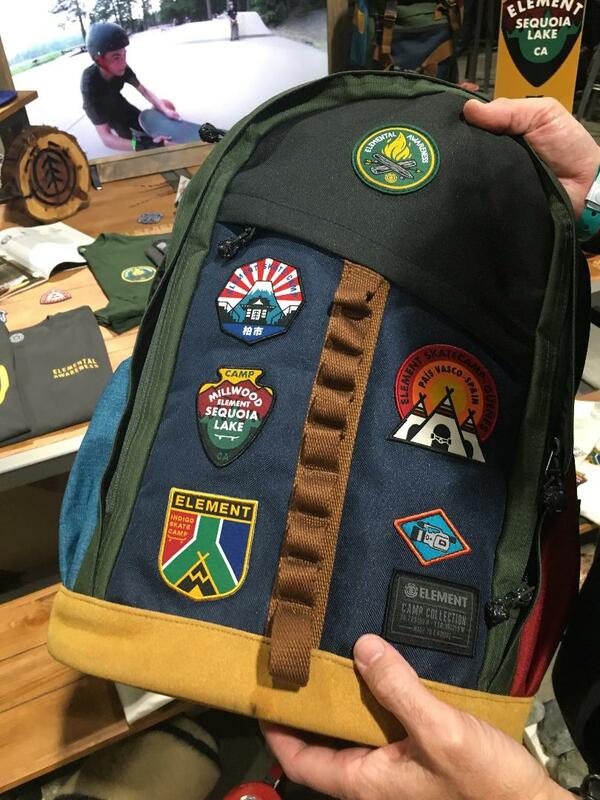 A portion of the proceeds from every bag directly benefits Element’s camps and the programming that helps to communicate the natural world to the youth. I especially love the patches – which you can choose to have on or apply yourself. Plus I love that so many of the styles in the Element Men’s collection are universal. It’s about as cold as it gets here in southern California – so it’s time to wear the flannels & wovens. 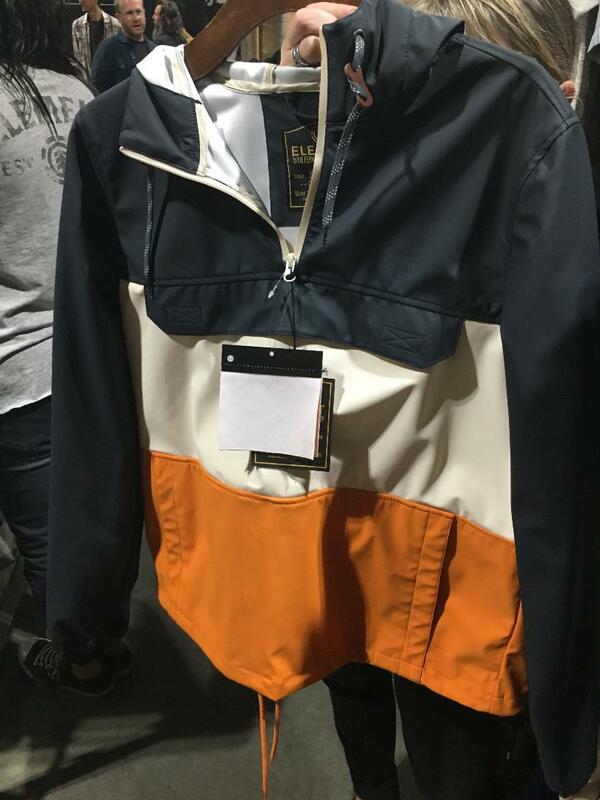 It’s also time for a jaunty jacket like the the one below from Element Women’s. As I write this post, it’s raining so now really is the time for a jacket with style & function. It’s also time to clean your shoes. I’ve never liked dirty shoes, but I’ve also never liked cleaning shoes until now. Before Agenda I read up on Sneaker Lab. The holidays came early for me when I got a pair of white adidas Matchcourt High RX but unfortunately the dirt came soon after. 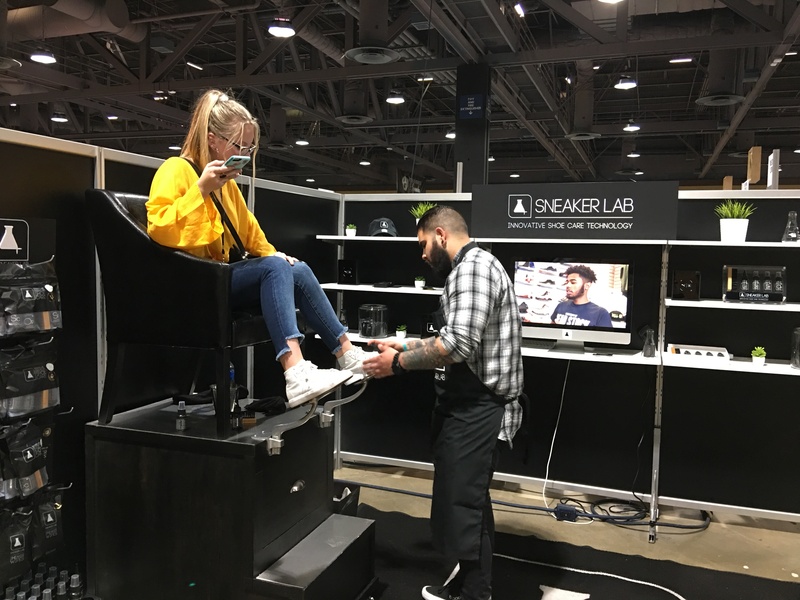 With hope in my heart, I headed to the Sneaker Lab booth. The cleaning wipes worked phenomenally. 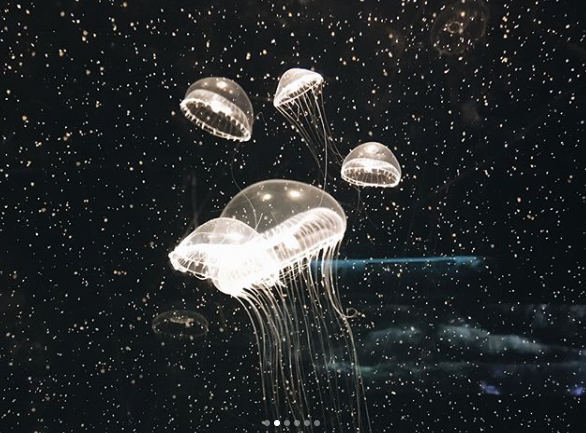 The best part is the entire line of Sneaker Lab products are eco-friendly – bacteria is actually cleaning your shoes! In addition to wipes there’s protector solution, odor eliminator, and more. Sneaker Lab makes it easy to keep a New Year’s resolution of clean shoes. It also saves money from buying new shoes because it keeps your older ones looking new and fresh. My real New Year’s Resolution is to spend more time with my brother. 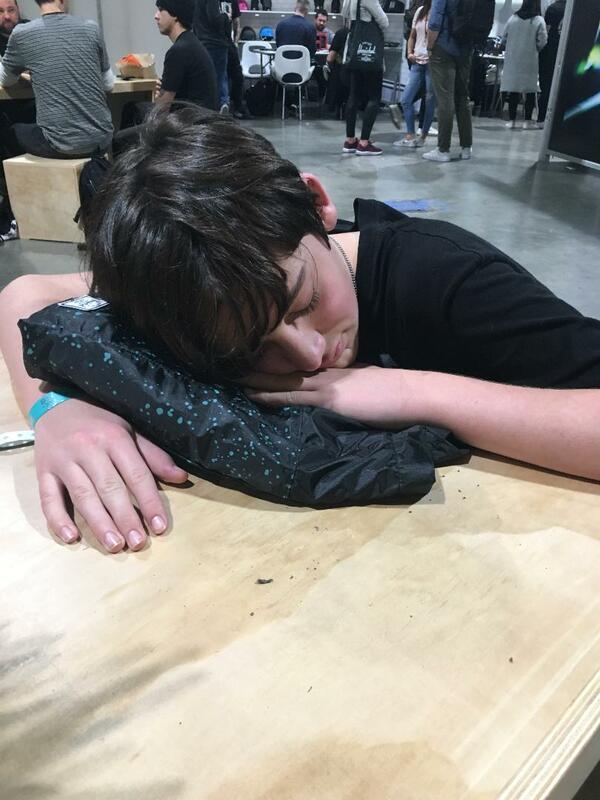 Agenda wore him out but he was revived when he found out that if you’ve attended an event at the Long Beach Convention Center you get into the Aquarium of the Pacific (which is less than 10 minute walk) at a discounted price. What revives you? Follow your passions and inspire others to follow theirs. Till next time – keep it stylish on & off the board. 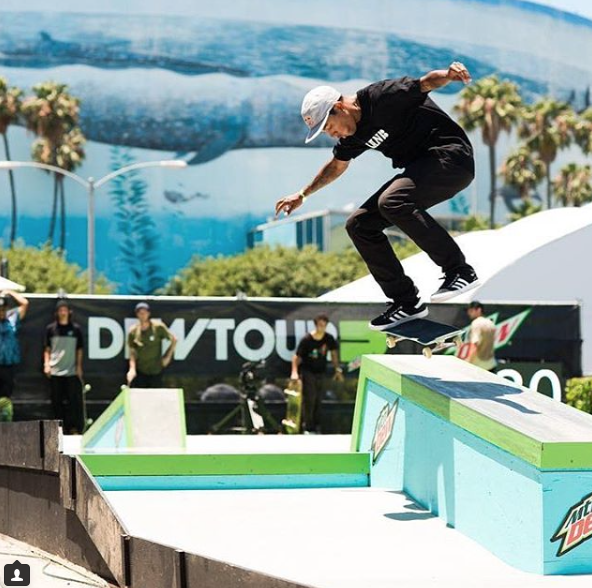 Plus be ready when Agenda returns to Long Beach in the summer with the Dew Tour.